Fr. John Perdue and his sister Sister Mary Catherine, both PVNC graduates, are flying high after relaunching the escapades of the Flying Fathers in January 2018. 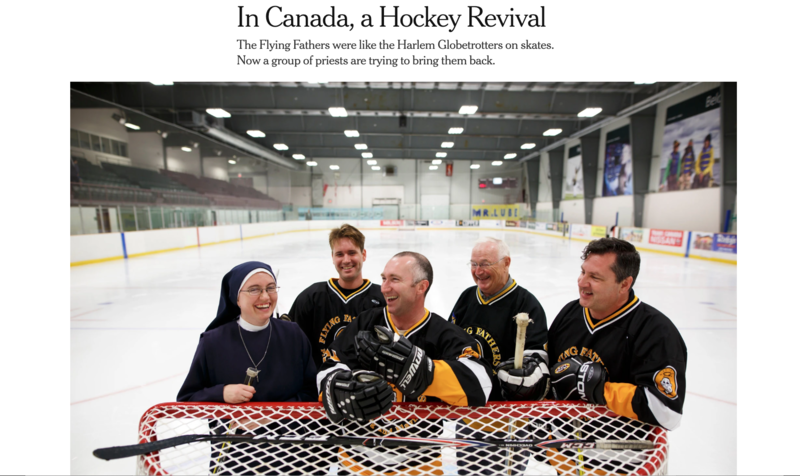 The New York Times profiled the Flying Fathers, including PVNC graduates Fr. John Perdue and Sister Mary Catherine on Feb. 18, 2019. 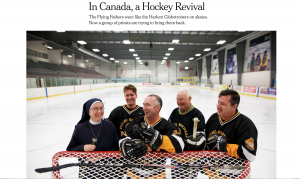 Once dubbed the Harlem Globetrotters of hockey, the Flying Fathers played more than 900 games across Canada over 40 years, netting more than $4 million for local and national charities, parishes and foundations. From getting pies in the face to playing with tiny sticks as “penance” for penalties, the Flying Fathers combined crowd-pleasing antics with real skills on the ice. Now, nearly a decade after the Flying Fathers left the ice, the team has been brought back to life. Led by Fr. 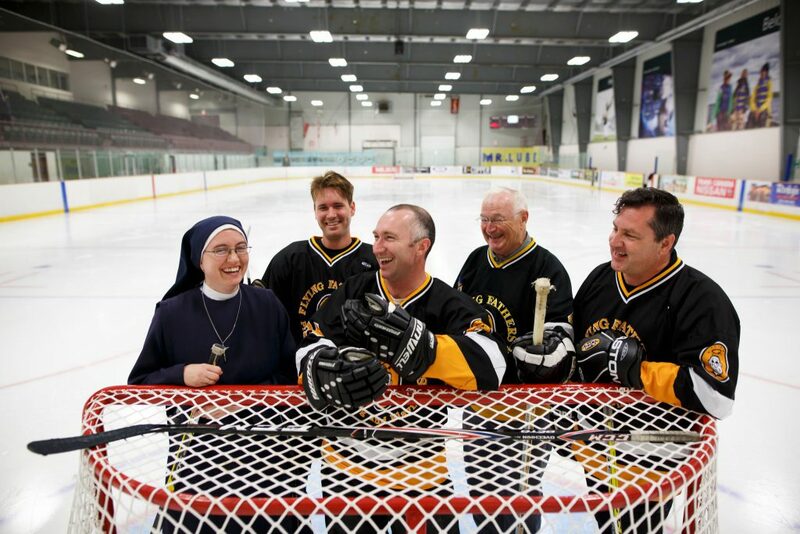 John Perdue, 33, the vocation director for the Diocese of Peterborough, Ontario, a new troupe of priests have laced up their skates to fill arenas with laughter and raise funds for charity.